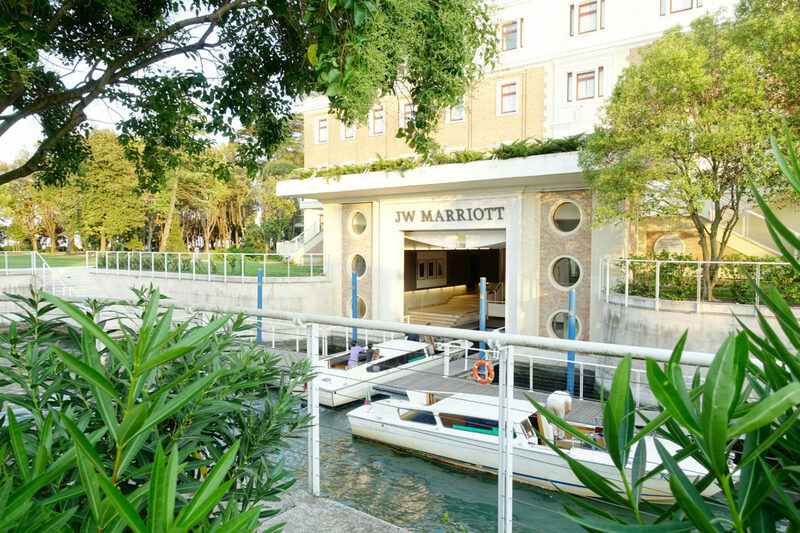 Venice has been on our bucket list for quite a while now and so has been the JW Marriott Resort and Spa. For a short summer getaway, I usually wouldn’t think about the romantic city with its small alleys, canals and loads of tourists. 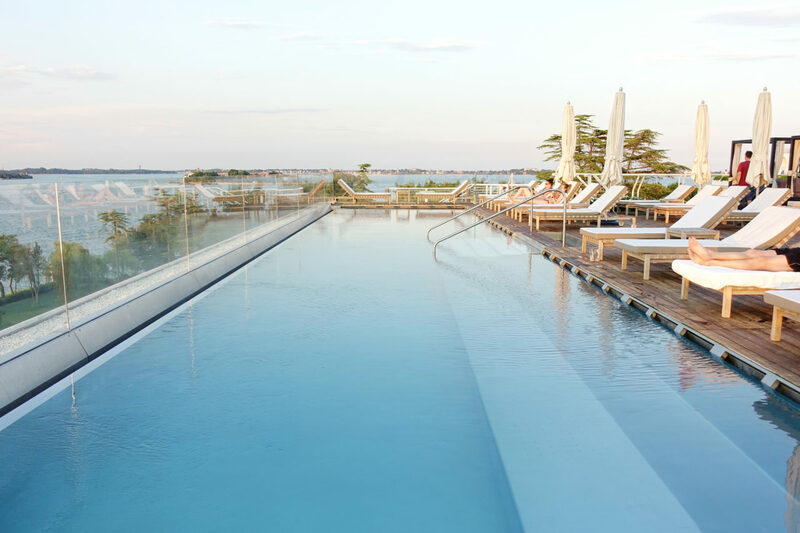 However, the JW Marriott is situated on its own private island – Isola delle Rose and is a stunning hideout located right in the lagoon ahead San Marco square. 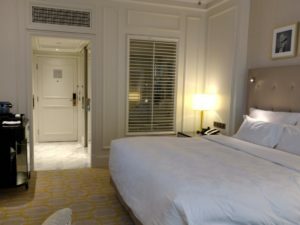 A & I took a three night vacay and ended up going to the city center just once… Read along to find out what made us stay at the resort’s private island instead. Few hotels in the world allow for such a stylish arrival by private speedboat. 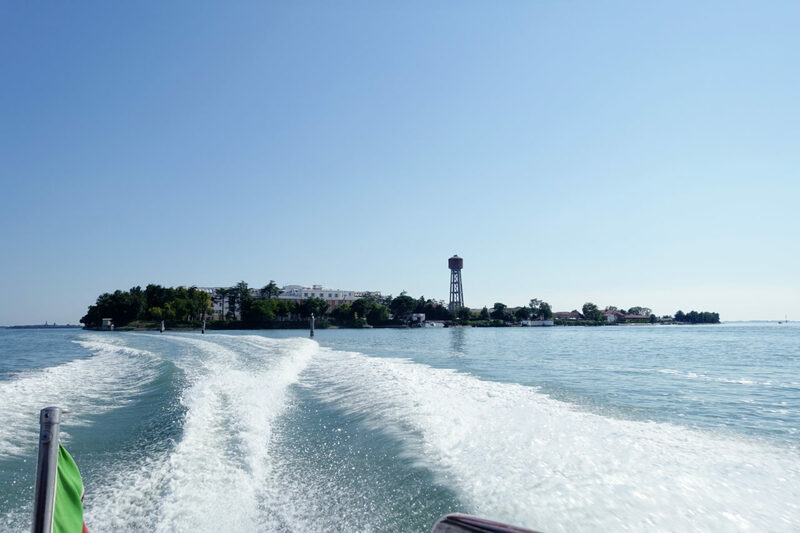 There are other ways to get to the JW Marriott in Venice but we opted for the private boat which literally picks you up outside the airports and goes directly to the private island which is a 40 minute ride. We got to pass through Murano which is lovely to see from a boat’s perspective. Our short boat ride was smooth and ended right at the hotel’s dock where we were greeted by a friendly associate who escorted us to the front desk. Check-In was a flash and we were on our way to our Junior Suite to which we had been upgraded to thanks to our Platinum Status with Marriott. How often can you arrive by speedboat into a hotel’s dock? 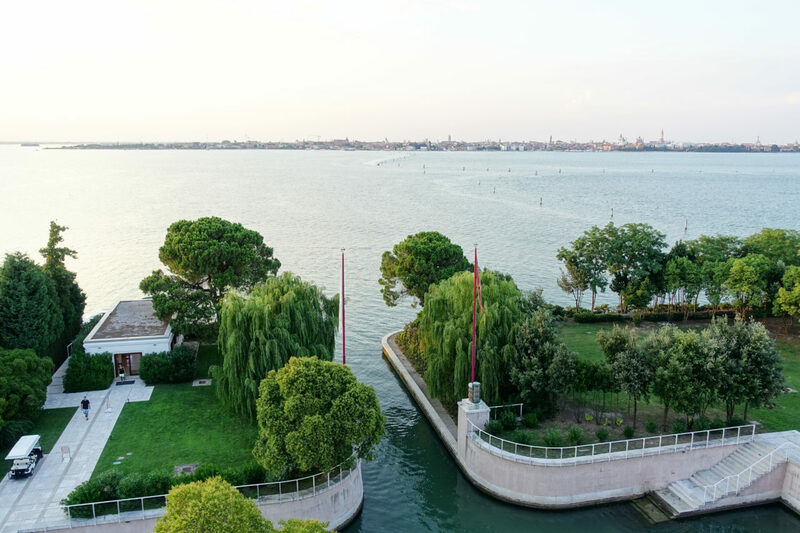 Isola delle Rose, where the JWM is located, is just a short boat ride from Piazza San Marco. 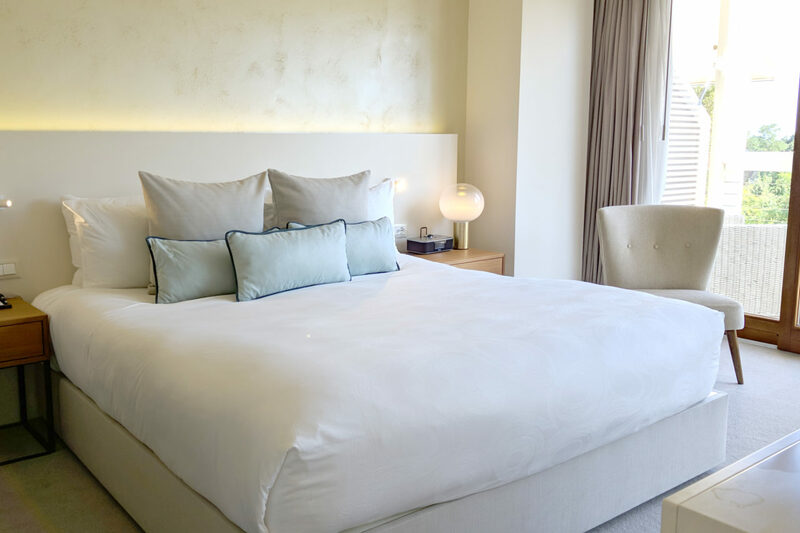 What really sets the JW Marriott apart from (most) other hotels in Venice is that it’s brand new and not the usual plushy Venetian canopy bed style you’d expect. While this might alienate some, for me that’s a huge plus. The decor and the colors of the whole property are minimal, light and lovely. A lot of white, grey and blue tones, glass and breezy arcades allow to breathe. 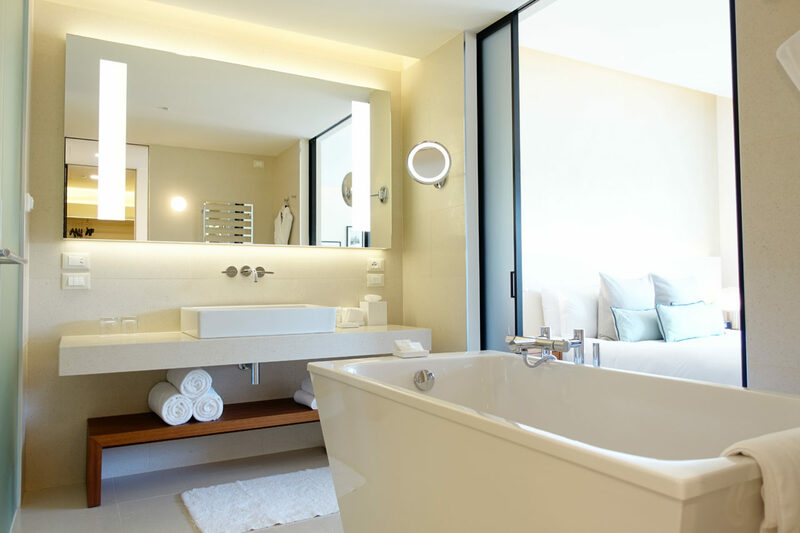 Our 55 m² Junior Suite located at the second floor of the main building was surprisingly large with a combined living/bedroom, huge bathroom with tub and walk-in shower, a huge walk-in closet and a truly gigantic outdoor terrace, allowing soothing views of the century old park. Needless to say, the room was spotless and well air conditioned, the open bathroom and bright daylight everywhere made us feel at home the moment we entered. The modern design is wonderful and does not feel cheap like in so many properties trying. A welcome amenity as well as a personalized letter were waiting for us upon arrival and some minutes later, room service delivered a bottle of prosecco which was much appreciated! 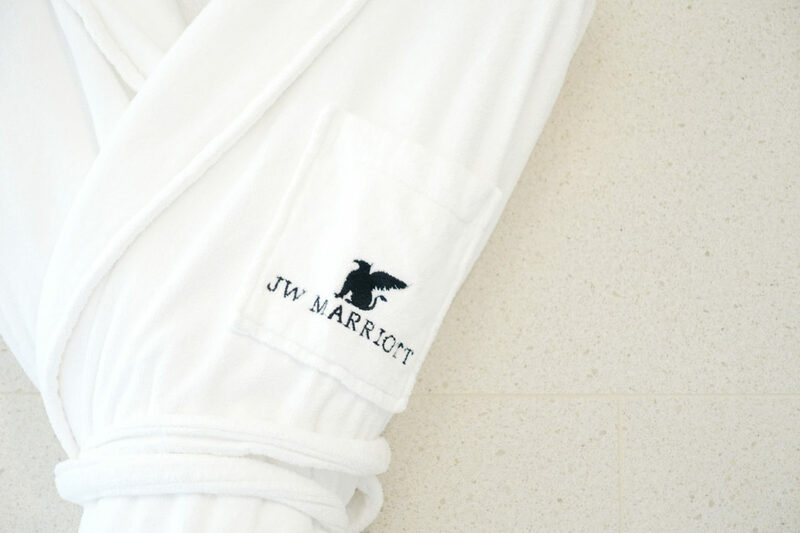 The king-size bed in the Junior Suite is heavenly soft and the fluffy towels and bathrobes are pure bliss. 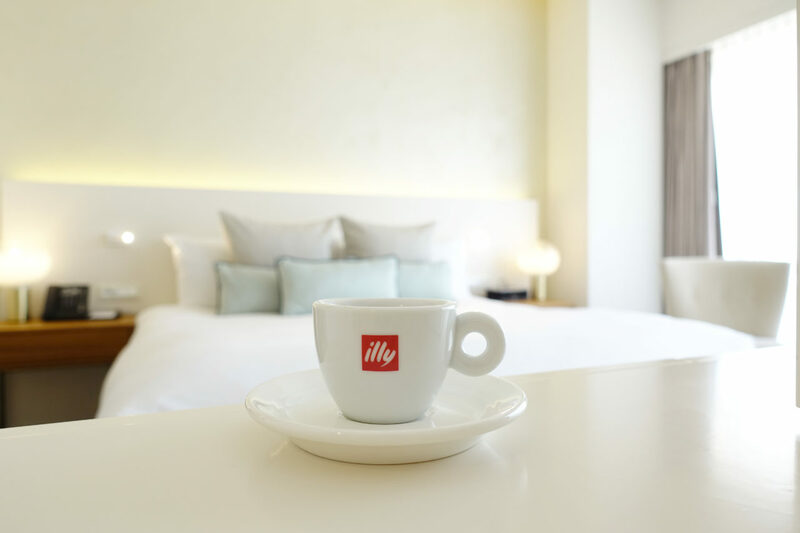 The Illy espresso machine with ready to-go cups tops the experience off. 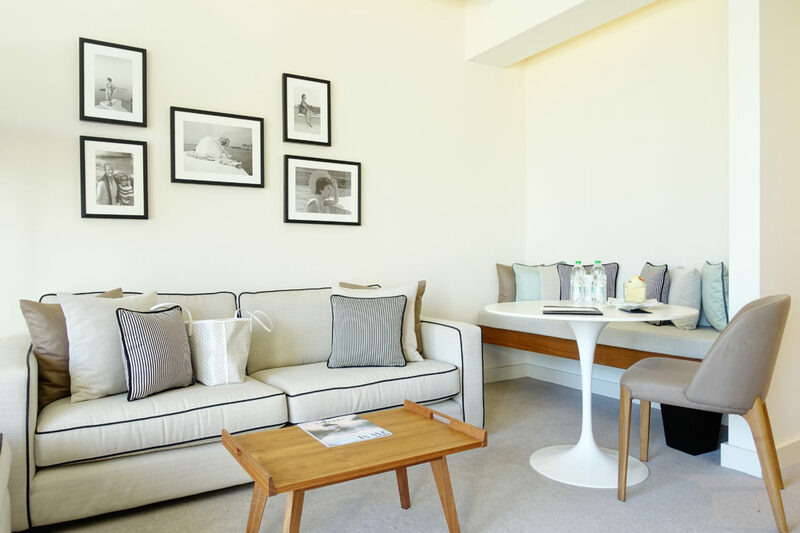 There are other room categories available and I am sure they’re all great but I would highly suggest the Junior Suites, even when travelling as a couple. Aside from the “Hotel”, which is the resort’s main building where we stayed, there is also the Uliveto and Residenza low-rise buildings with their own, a little bit more secluded rooms. 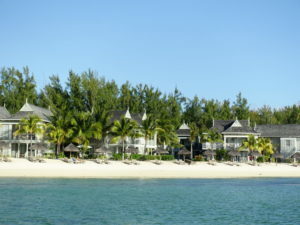 Some of them feature a private garden and plunge pool and are probably well suited for families with kids. 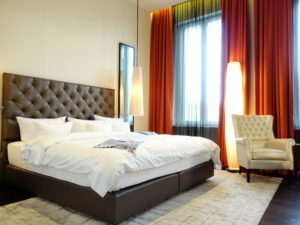 However, all rooms alike feature the great modern signature of designer Matteo Thun. 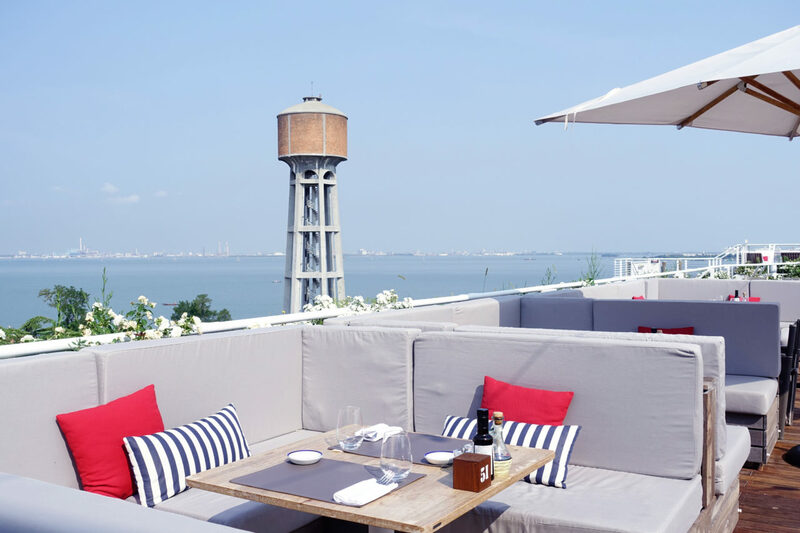 The whole property of the JW Marriott Venice spreads over its private island which is a true hideaway gem. There is so much to discover! 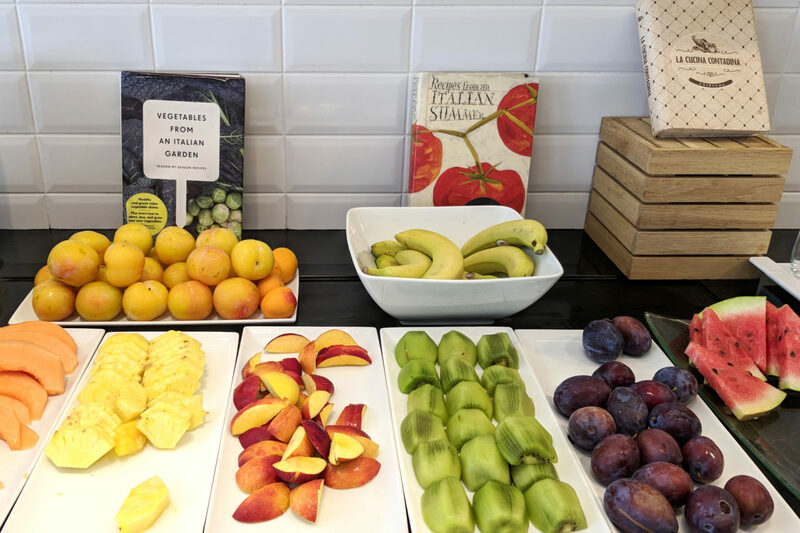 You have the choice of two pools – the looooong “family pool” is located in the garden just close to the “Giardino” which is an awesome daytime snack place. 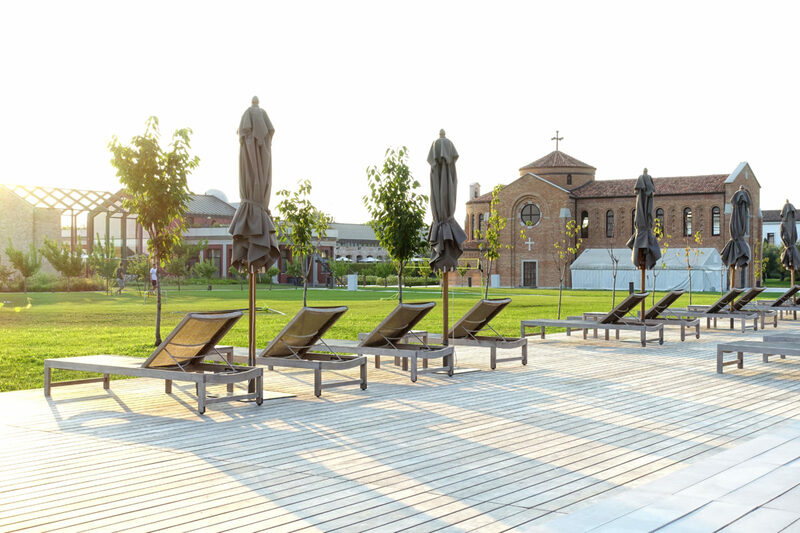 Giardino is also serving the sunbeds there so you can enjoy a nice Spritz while the kids are playing. This area is heaven for kids – a playground, water games and some soccer and archery fields are just a stone’s throw away. The light during the afternoon is wonderful as the sun sets. We received some complimentary slices of Pizza to try during the afternoon there which was a nice touch. The other pool is located at the rooftop of the main building and is “adults only” with only limited capacity. 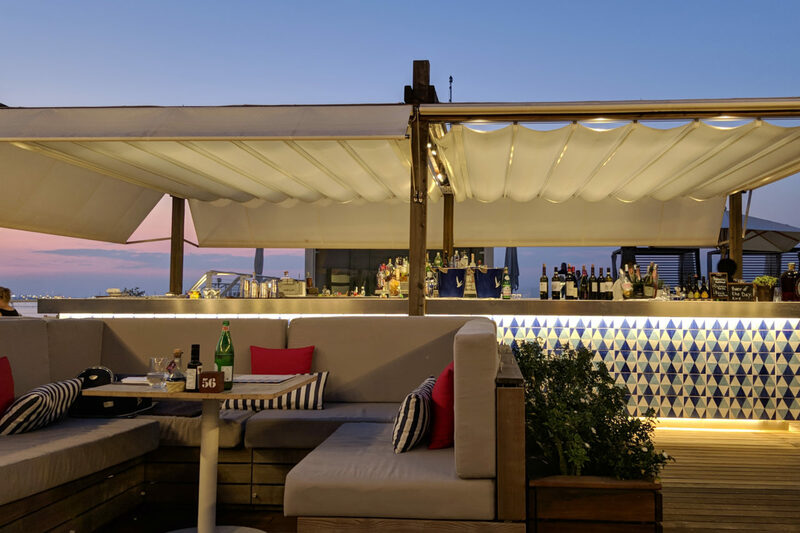 It’s served by the team of the adjacent Sagra rooftop bar and I really enjoyed the small treats like smoothies and the sunglass concierge. 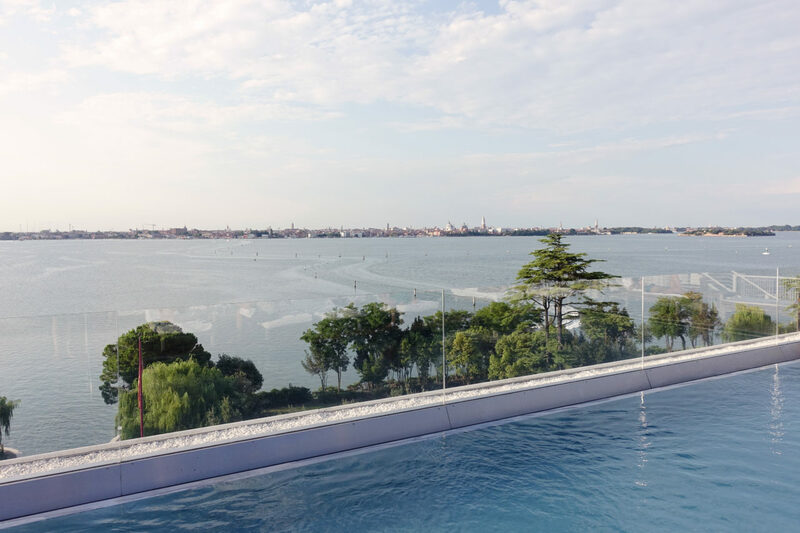 This infinity pool has AMAZING views of the Venice skyline and San Marco and was our favourite place to lounge during the hot summer days in Venice. 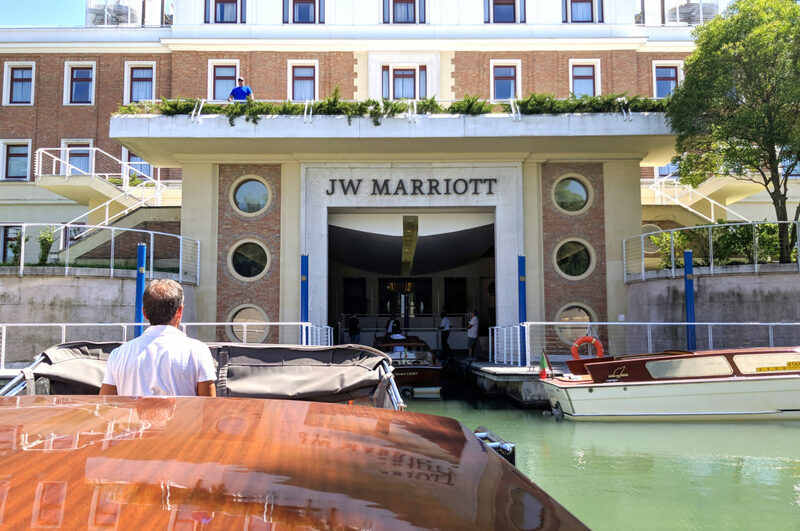 Should you wish to leave the island, the private and complimentary boat shuttle of the JW Marriott takes you right to the private pier at San Marco every 30 minutes between morning and midnight so you can dive into Venice at your preference. 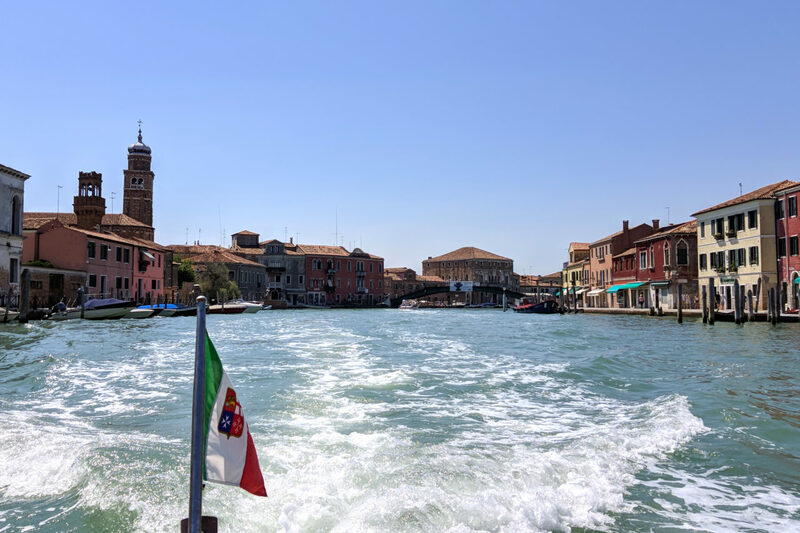 We used this service to hit the city for sightseeing and dinner in the afternoon but ended up doing so just once because the city was so incredibly hot and crowded with cruise ship tourists which was a harsh contrast to the tranquility of Isola delle Rose. But i’m sure that it is much better if you visit during shoulder-season and the complimentary hotel boat transfer service is highly recommended as it is punctual, clean and comfortable. 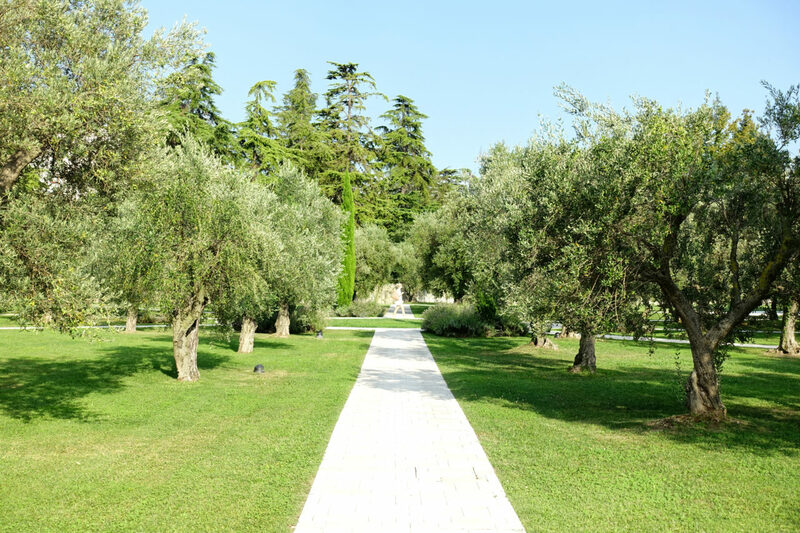 The old park and fields of olive trees allow you to spend a nice afternoon walk on the island itself without actually meeting other guests. The whole tranquility and atmosphere are amazing considering you are just a 20 minute boat ride away from one of world’s top-ten tourist destinations. Being a regular reader to my blog, you know that for me, service can really kill the experience no matter how good the property may be. To me, Italy is not known for rendering exceptional hospitality service. 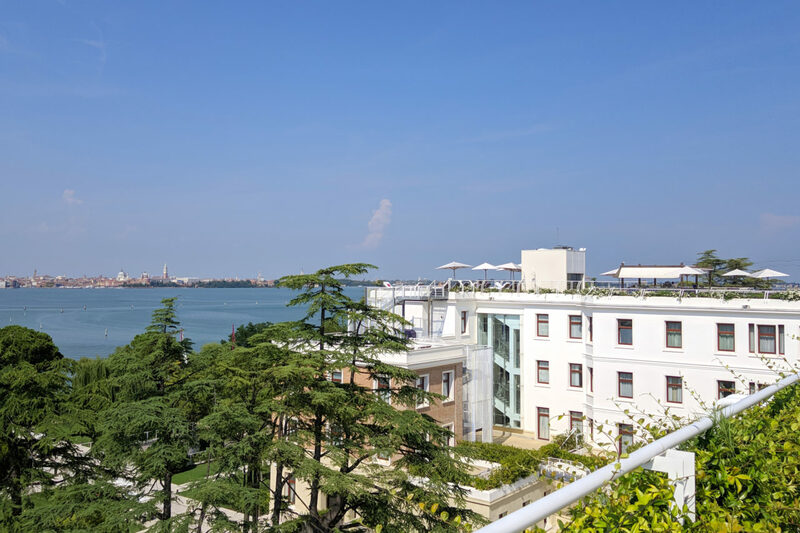 The JW Marriott Venice – to my surprise – was a completely different experience. From start to finish we were taken great care of and everybody from the team went above & beyond to make our time memorable. You can clearly spot the professional training but also very personal touch of the whole international team. 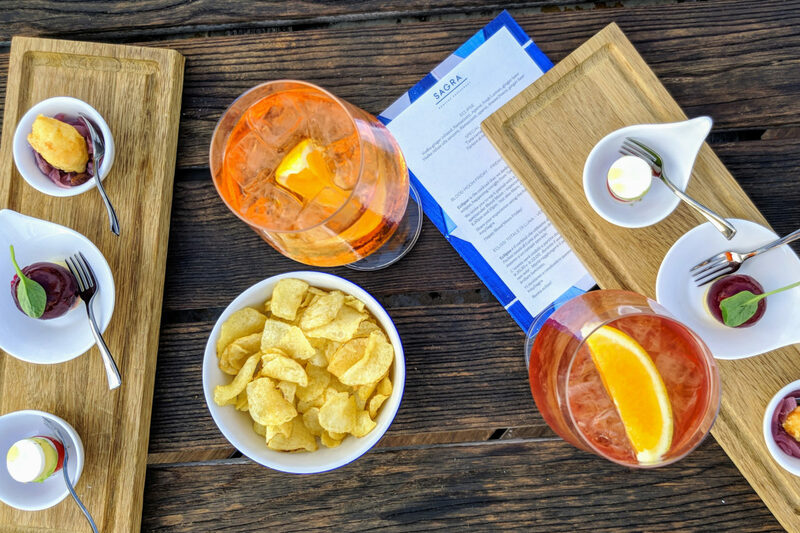 The small things like inviting us for a drink at dinner, providing the best table for a remarkable aperitivo at the Sagra rooftop or being available 24/7 through the Marriott app’s chat do make the difference. Every associate is up for a small chat and was greeting us while passing by. 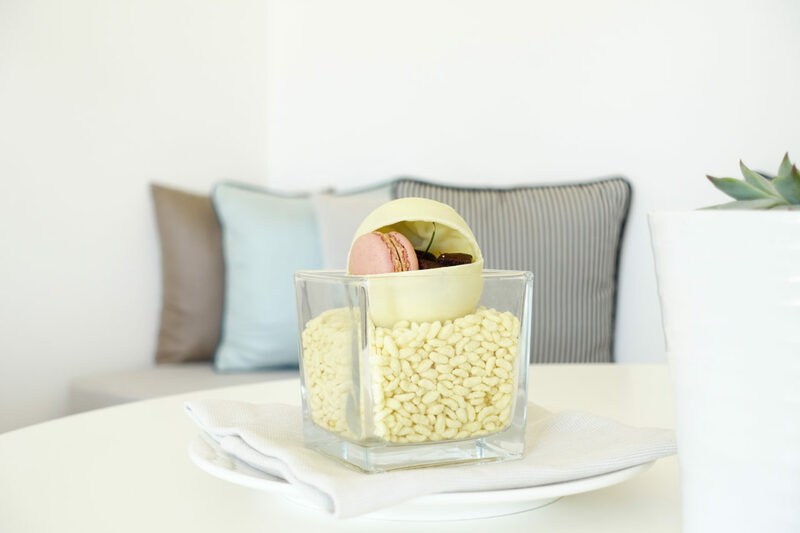 The quality of service was among the best properties I stayed with so far. Also, all staff members spoke exceptionally good English – a real surprise in Italy whre I usually preper to rely on my (basic) Italian skills instead. Simliar to other remote destinations, staying on an island, you choice of dining options is limited. 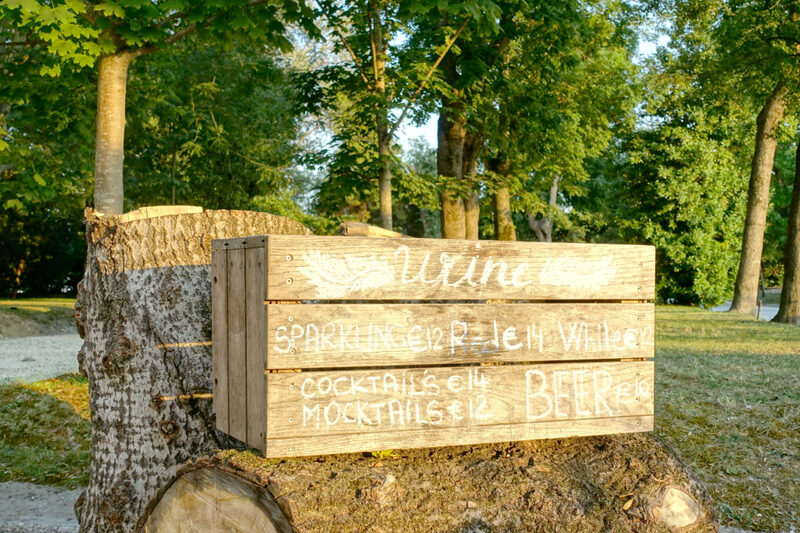 Luckily, the JW Marriott caters for that – although it comes with a price tag. Just remember you stay in Venice, where a beer is easily 8 € and no good dinner for two is below 100 €. 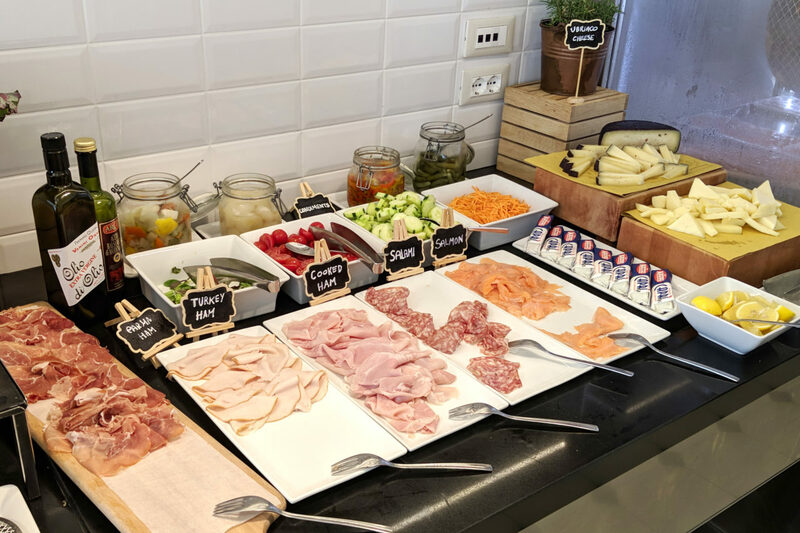 We had breakfast included which is served at “Cucina” and is all you can ask for. 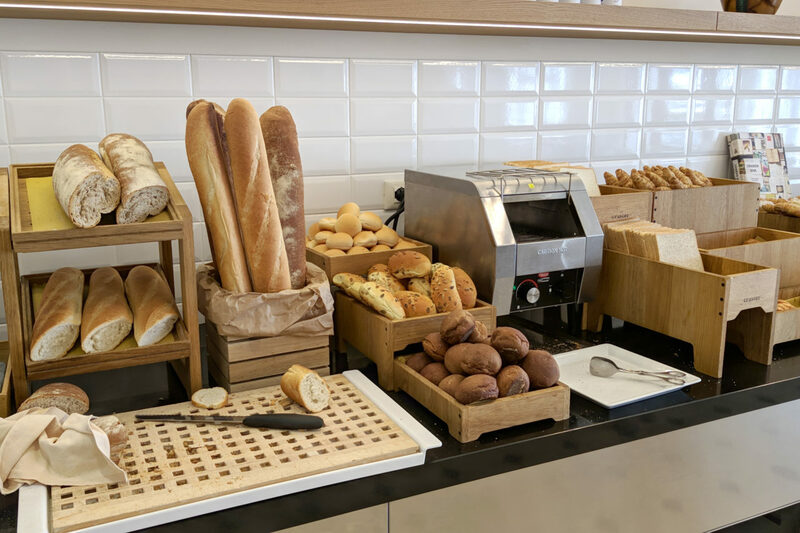 Apart from the a la carte option the buffet offers fresh breads, an omelette station, fruits, cheese and italian cold cuts, granola, warm dishes, juices and of course great Italian coffee to get your day started. Also the location is really nice, bright and you can also sit outside enjoying the first rays of sun. 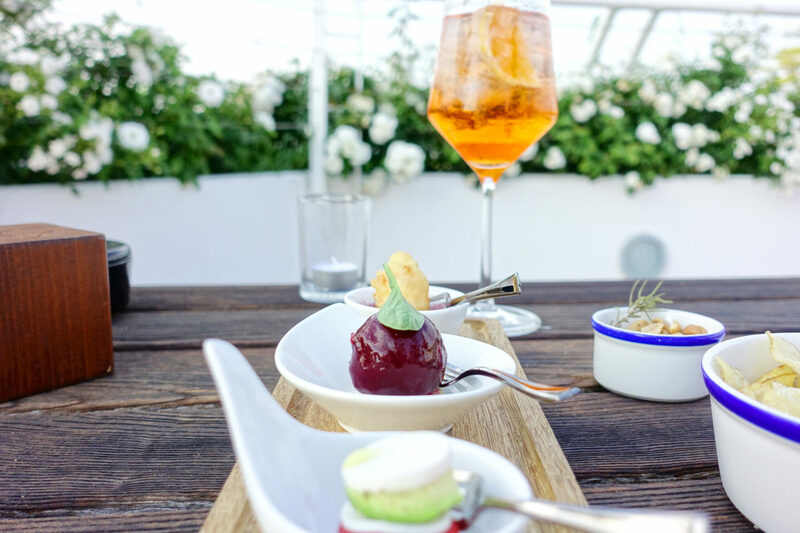 Another one of my favourites is the Sagra bar and restaurant, located at the rooftop of the main building. 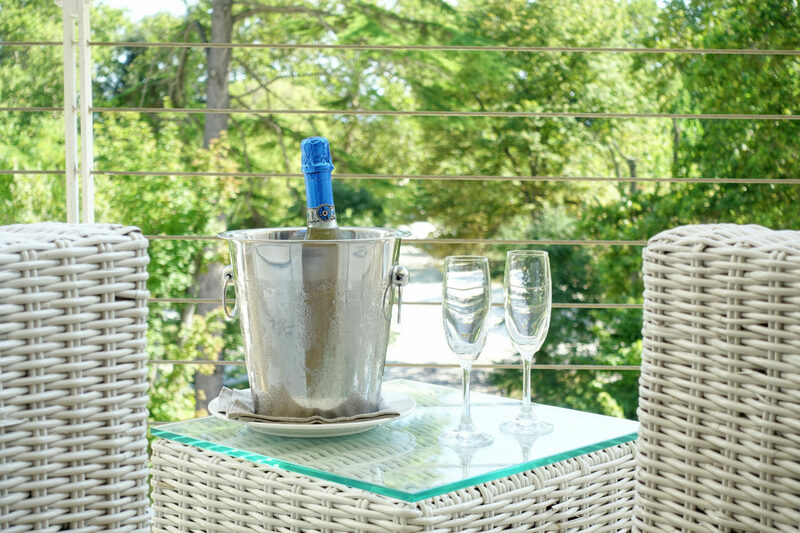 The outside seating with tables and private boothes is amazing, romantic and very special. The views of the skyline of Venice and the park of the island are second to none, especially at dawn. 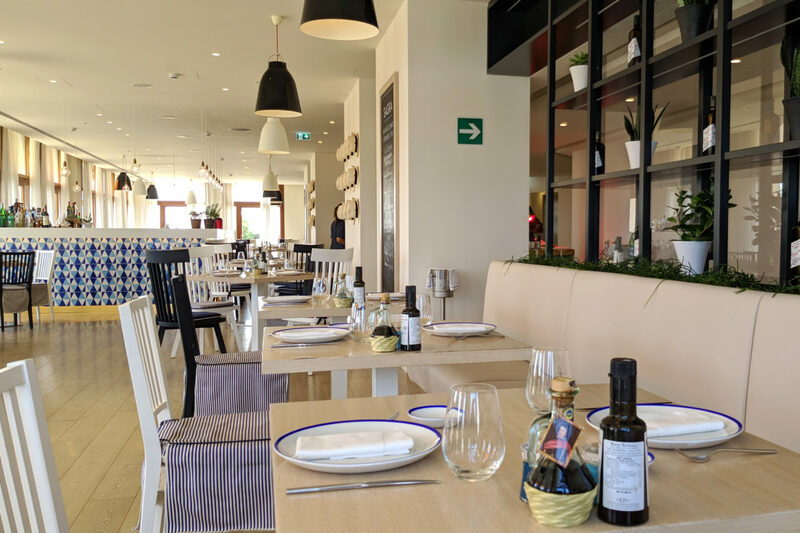 The menu offers a lot of seafood, healtyh options, Italian fare like many Pasta choices and of course a large selection of deserts. Get your evening started with an aperitivo at the bar and enjoy a sumptous dinner below the stars afterwards. A unique experiene that comes with a price tag. 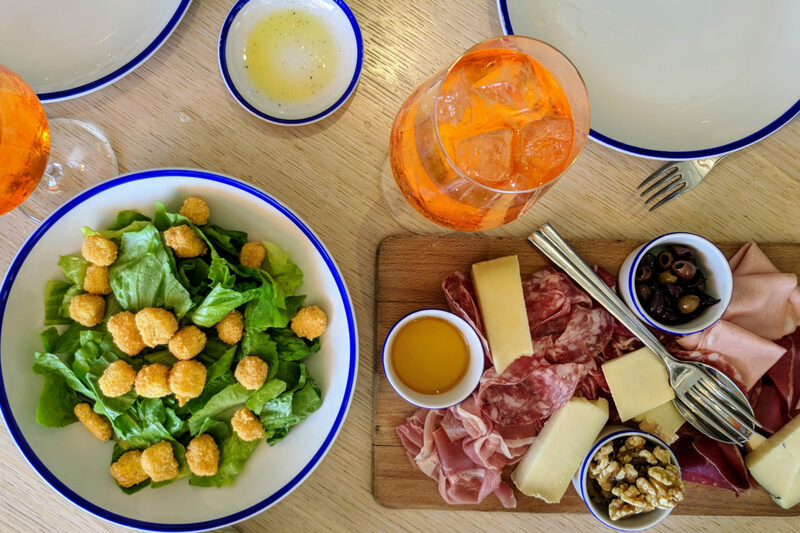 My recommendation (see more in my Instagram Story Highlights) is definitely the typical charcuterie & cheese board (which is almost a proper dish) for lunch and the cacio e pepe pasta for dinner, alongside a lovely Veneto Spritz! 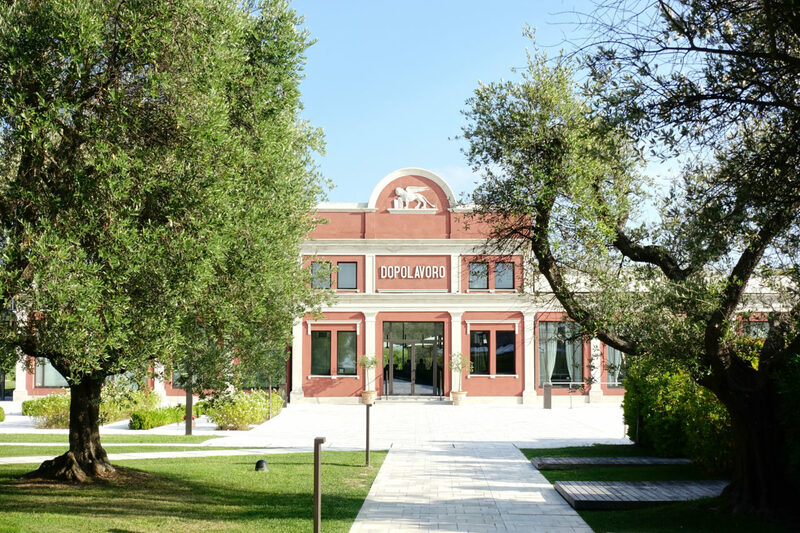 For fine dining connoisseurs there is the “Dopolavoro” dining room that offers fine a la carte dining which we did not try this time. 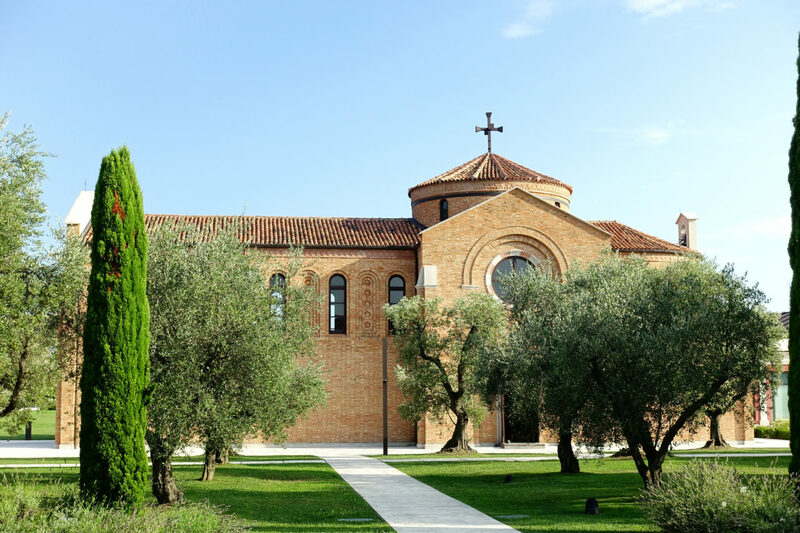 They’re serving their own olive oil from the Isola delle Rose. If you are just looking for something quick before boarding the shuttle to the city, pass by “Dispensa” which is a small coffee store that offers to-go specialities and small bites to grab’n’go. 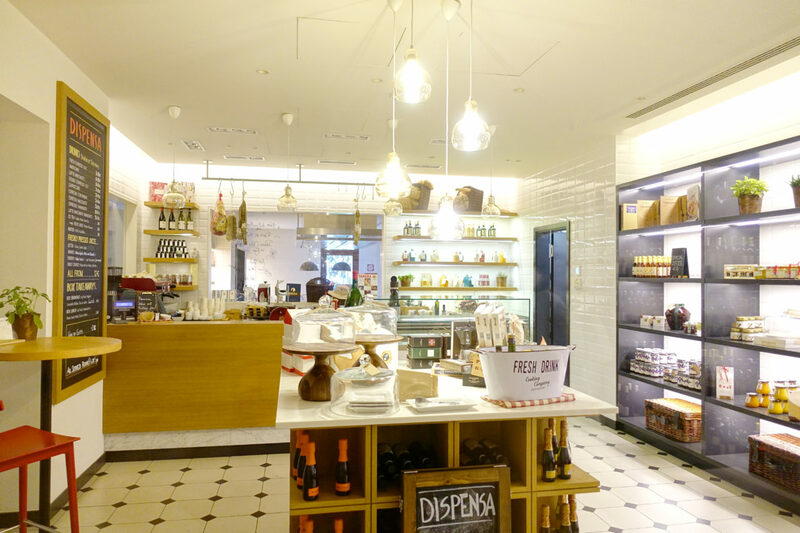 Here you can also get a picnic that you can enjoy on your own anywhere in the park if you like or Italian culinary gifts to bring home to your loved ones. 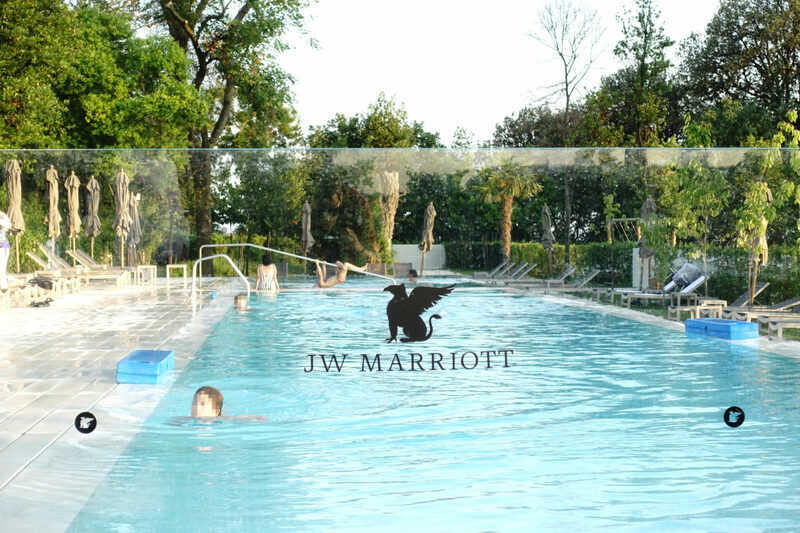 The JW Marriott Venice was a true treat which I cannot recommend enough when planning to see Venice but also enjoying a proper vacation and have some down time by the pool. I wanted to go there for a long time but it really was so much better than expected. 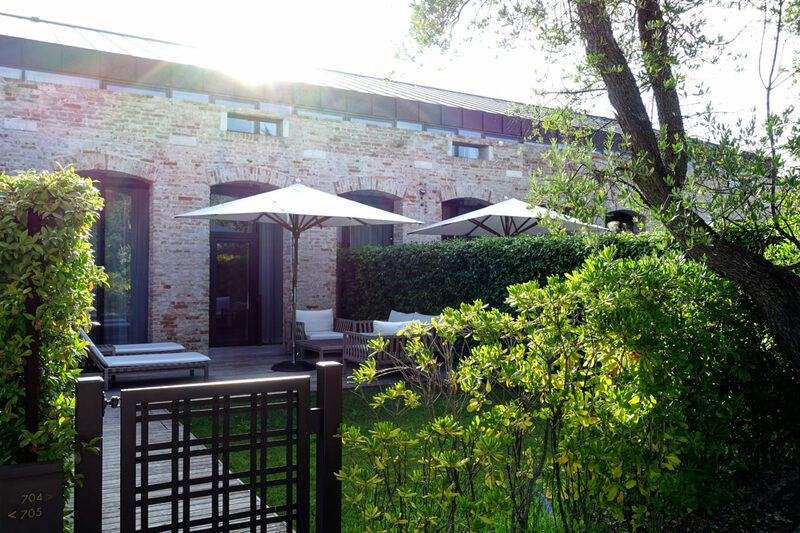 While the property was chic and modern, the amazing tranquility while being so close to Venice really is best-of-both worlds. 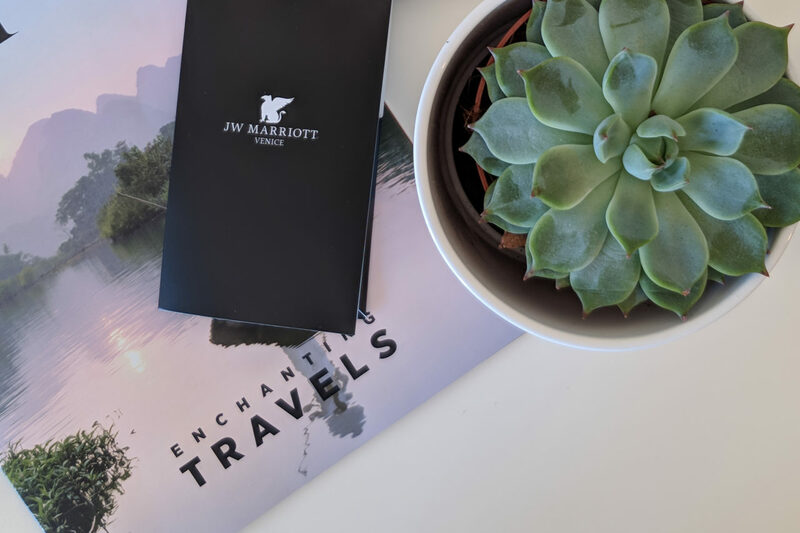 The service and hospitality were remarkable and make me want to experience more JW Marriott brand properties (like the JW Marriott Los Cabos Beach Resort & Spa which is also on my wish list). To avoid disappointment, be sure what you are signing up for, the private island experience comes with quite a price tag when it comes to food and drinks and you shold be aware of that before booking. 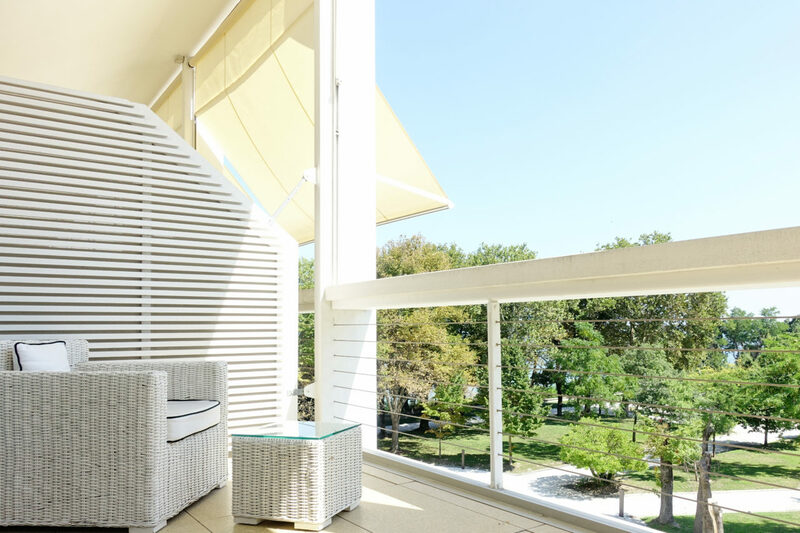 However once you are – you will love this resort! 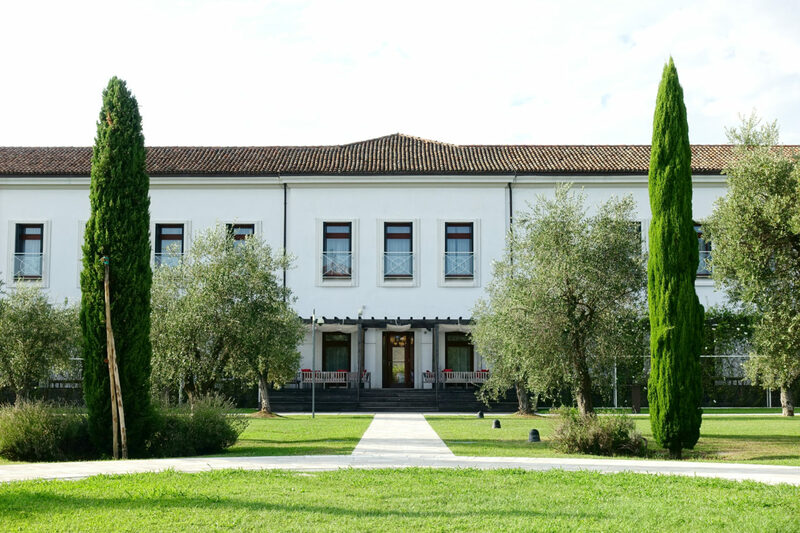 We will return for sure one day, as it has managed to become one of my favourite hotels in Italy. Have you ever been to Venice? I would love to hear your best tipps for an unforgettable stay. 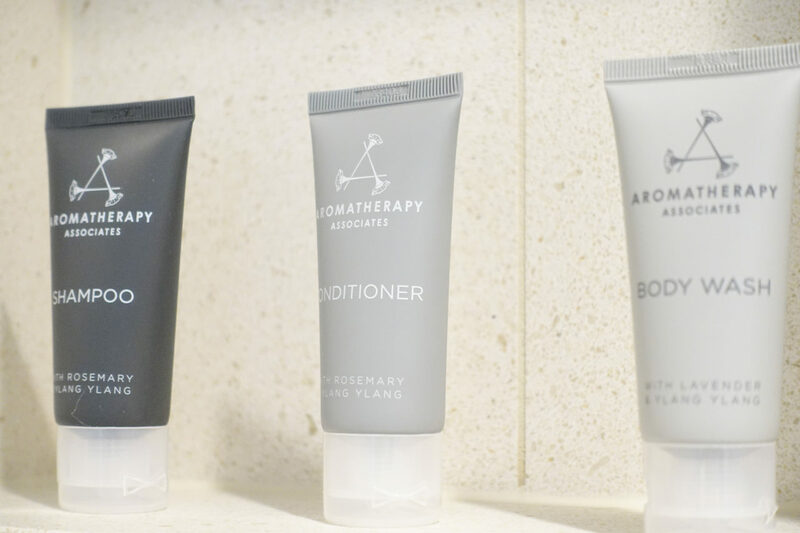 Also, if you’d like to discover more about some of my favourite hotels, follow the link.